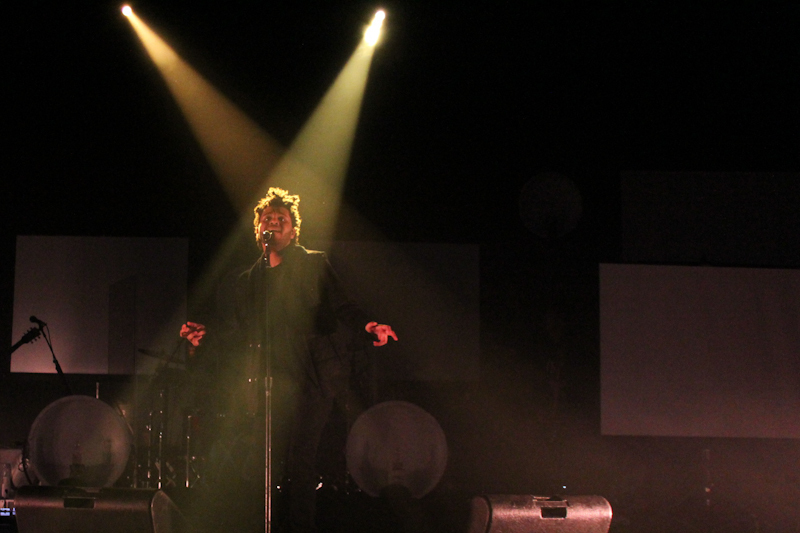 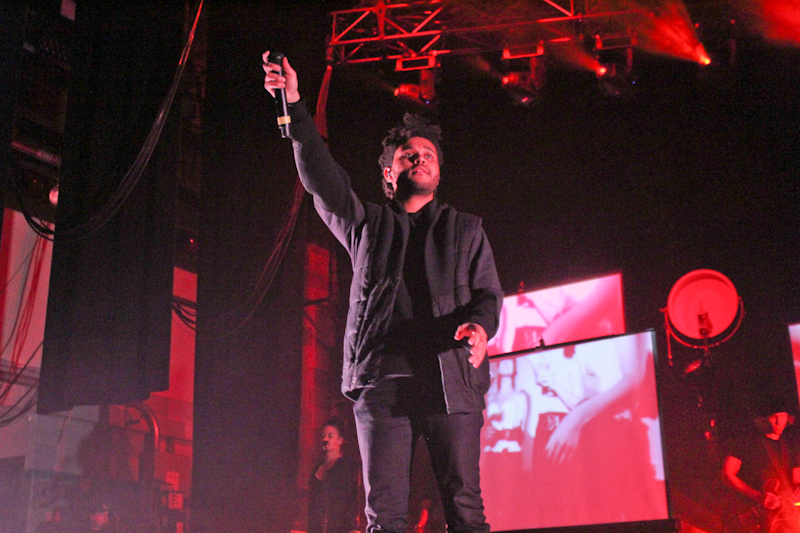 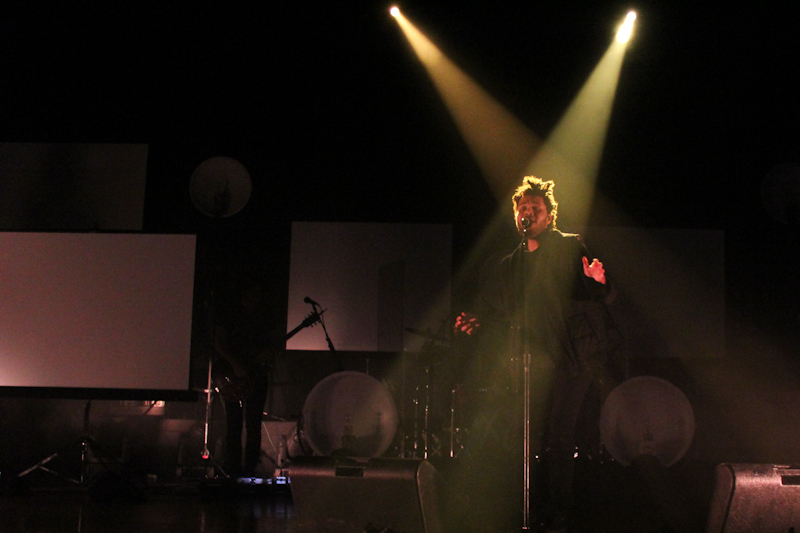 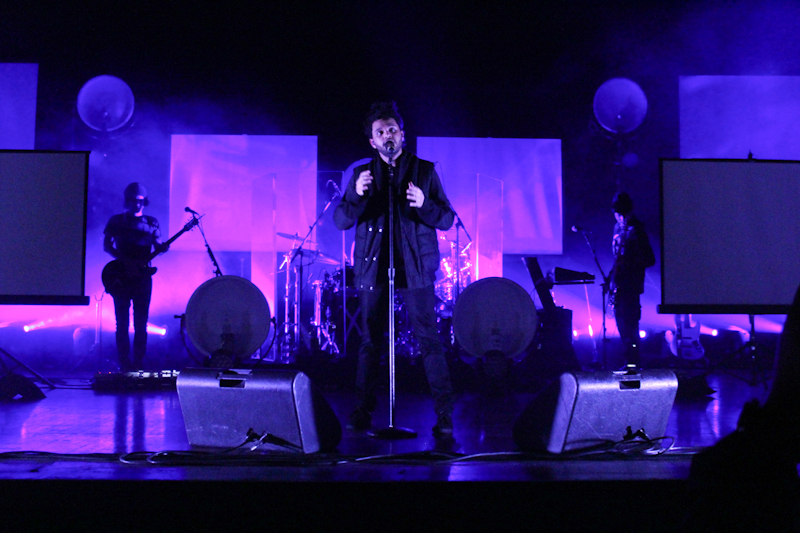 Hip-hop Canadian artist The Weeknd (real name Abel Tesfaye) and his band performed to a sold out crowd at the Orpheum Theater in Los Angeles. 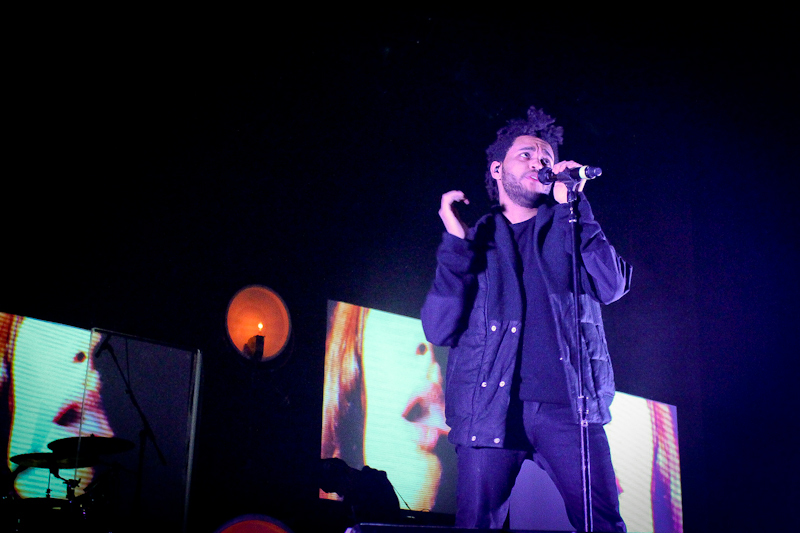 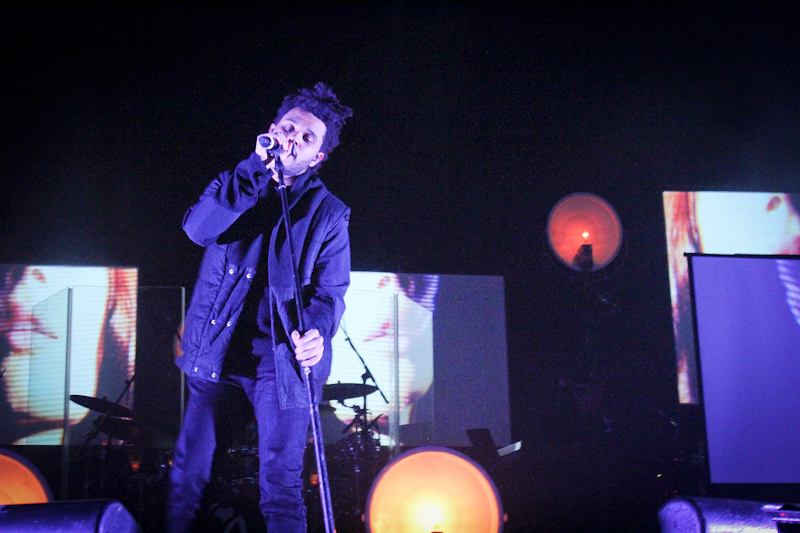 The band played behind several screens, mostly displaying movie clips of hot chicks, while fans—consisting primarily as screaming females with the occasional family or male hip-hop enthusiast spotted in the crowd—sang along and watched The Weeknd work the stage amongst color-changing beams of light. 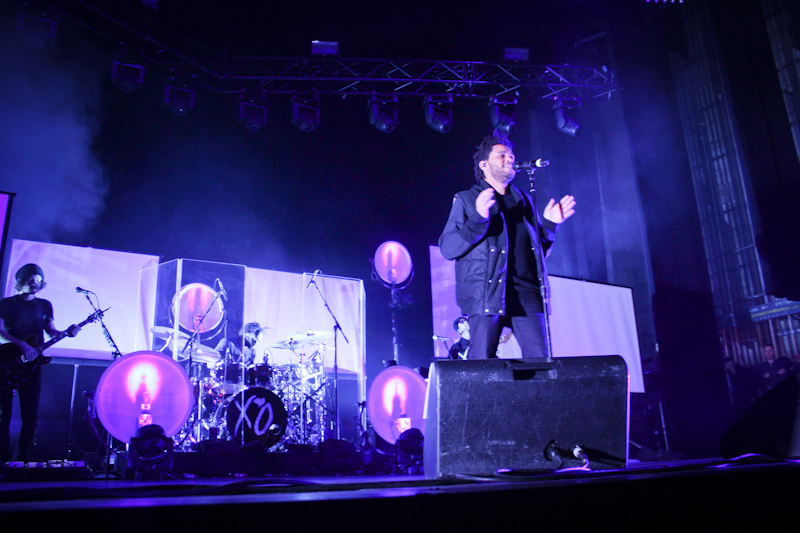 “I know I didn’t come see you much this year but I’m gonna make it up to you,” he told the crowd after performing his first song, “Next.” And with that he and the band went into “28,” one of his latest songs that he hadn’t performed anywhere yet.